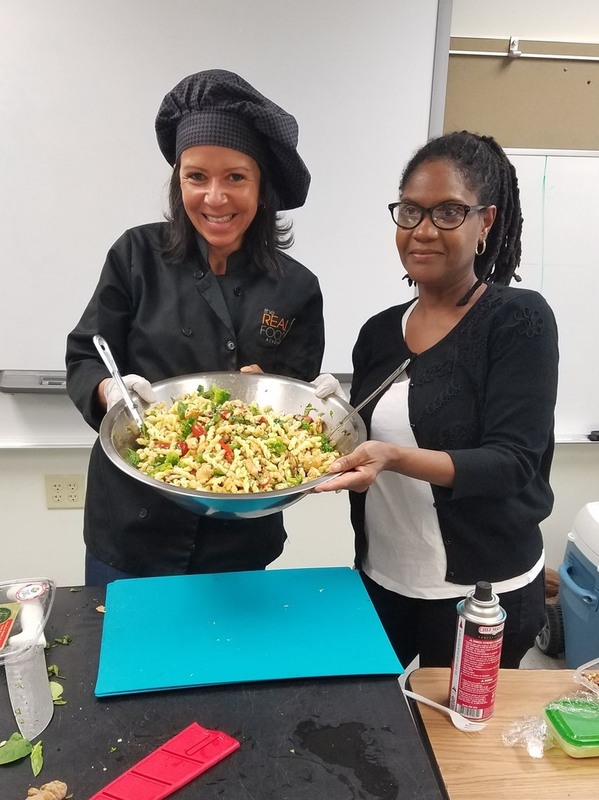 The TRFA Mobile Kitchen offers​ visits to schools all year round. Because we can only cater to 1 school or organization on any given day, availability is limited. Click the button below to book your desired date & time now. 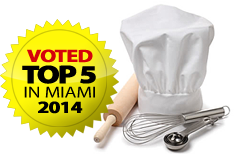 ​All portable equipment: Convection ovens, portable stoves, griddle, food processors, etc. ​Cooking utensils: Dishes, cups, spatulas, eating utensils, napkins, wet towels, cleaning supplies. ​Ingredients: All food ingredients for 3 dishes! Appetizer, main ​Entrée and dessert. This activity it’s a cooking demonstration. We provide everything to teach Parents the importance of eating right and teaching their children the benefits of eating “real food”. We’ll show how to use more natural, alternative ingredients to make healthier meals. We Provide Everything ​to Prepare the Meals! ​Our staff will bring any necessary equipment to set up anywhere in your school to prepare succulent, healthy meals. 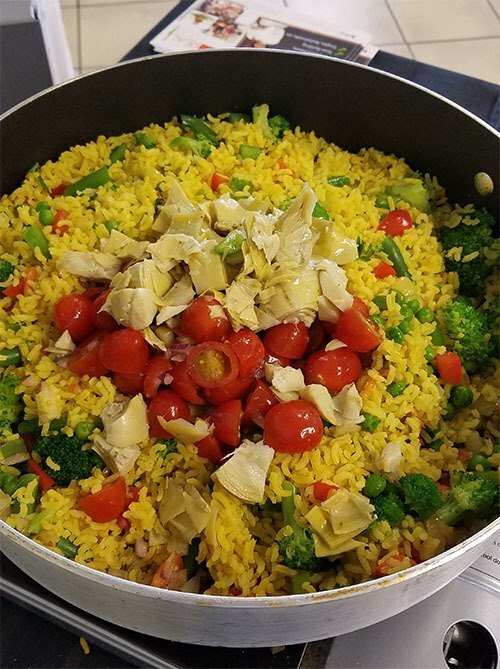 Ingredients – All food ingredients for 3 dishes. All you need provide are tables, chairs and beverages. No Need to​ Travel! 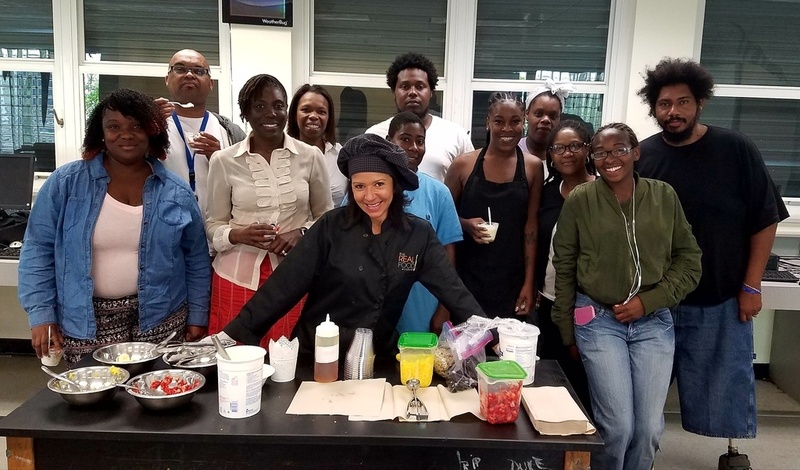 The Real Food Academy's ​Head Start Program Comes To YOU! ​Rate: $500 minimum for up to 35 adults. An additional $45 if traveling over 15 miles from our location. Our ​Head Start Program menu is not only succulent, it's filled with healthy choices as well. The Real Food Academy will provide a menu as selected by our professional chef, using seasonal local ingredients​. Additional sample foods shown soon. Another popular menu selection is the Italian feast option. 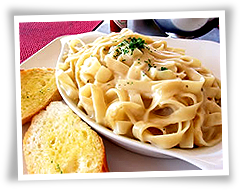 Your students will prepare their pasta from scratch with a pasta machine, topped with a delicious sauce. 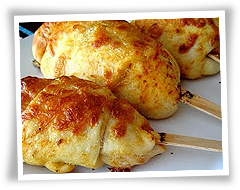 One of our more popular menu items for Field Trips is the Pizza on a Stick. Your students will prepare their own pizza stuffed with mozzarella cheese and 2 toppings of their choice. 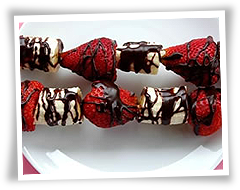 A healthy indulgence, the chocolate covered fruit skewers remains a popular choice with the kids. The light drizzle of healthy dark chocolate compliments the healthy fruit selection to make a perfect dessert choice. Fresh seasonal fruit served with Fresh Whipped Cream, prepared by your student. 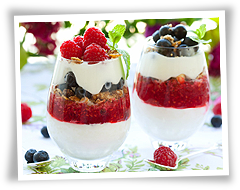 Plus, the whipped cream competition adds lots of fun to this healthy dessert! 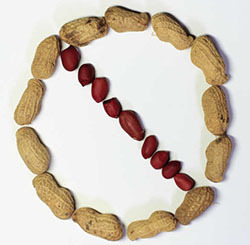 We do not use peanuts or peanut oil. Please notify us if anyone that will be included in the ​Head Start Program has any food allergies at all. We are happy to accommodate special requirements. 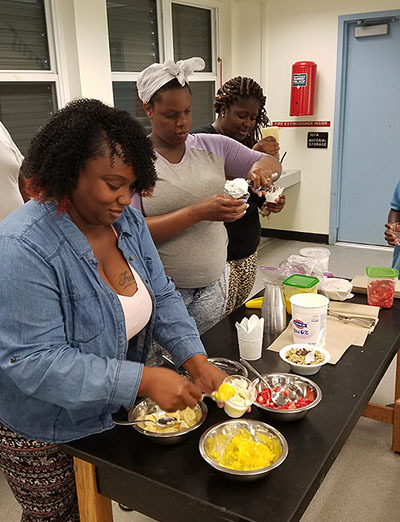 We want the ​Head Start Cooking Activities experience to be a safe and fun one for everyone involved! * Vendor and Insurance certificates available upon request.